Barbados is renowned all over the world as a first-class Caribbean island destination. 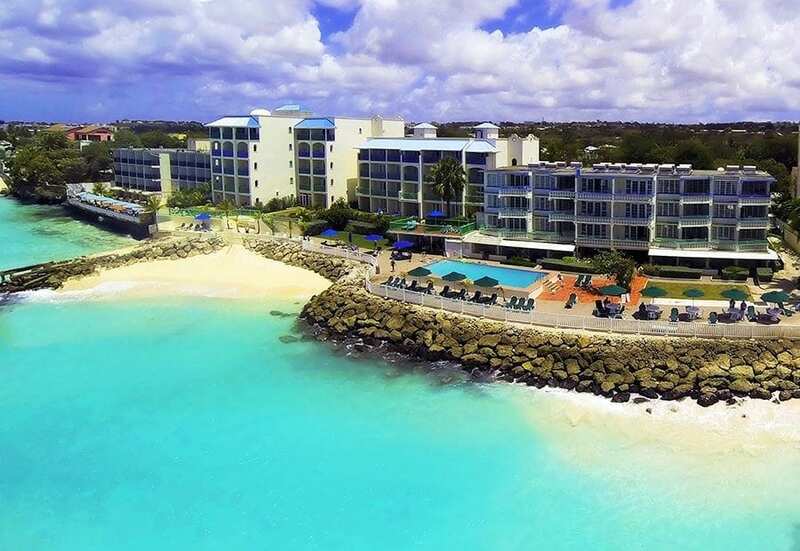 If you wish peace of mind when staying in Barbados with access to many amenities and additional comforts, you can choose to stay in one of the top hotels in Barbados. Barbados has the ultimate in luxury hotels, where a chauffeur will collect you at the airport and get you to your hotel. Rooms can be complete with four poster mahogany bed, marble bathroom and a cold bottle of champagne to sip in your private Jacuzzi. 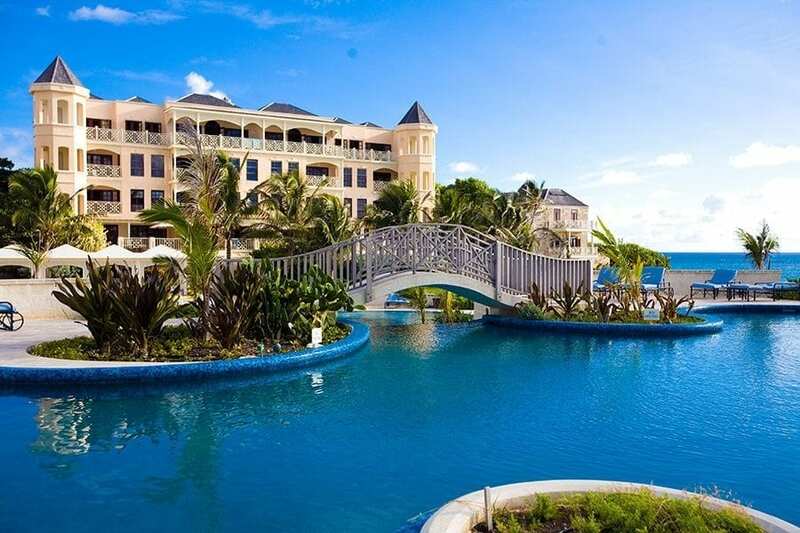 You can choose from 3 star Barbados hotels right up to some of the world’s most glamorous 5 star hotels. If you want a 3-star hotel you will still be guaranteed a reasonable standard of hotel, all offering a private bathroom within your room and a ceiling fan as standard. For an extra fee, you may choose a room with air conditioning. Depending on the time of year, a ceiling fan may be all that is required. As a family, you can choose from room only and are responsible for all your meals; you can either eat out or pay as you go for meals in the hotel restaurant. Or maybe you would prefer to stay at a Barbados Bed and Breakfast apartment, so at least you know your morning meal will be available. Alternatively, you may wish to go half board, which will include bed, breakfast and evening meal. Or you could be full board, which will consist of bed, breakfast, lunch and evening meal. And finally, you could choose all-inclusive hotels which would include bed, breakfast, lunch, evening meal, all snacks, and drinks including alcohol. All-inclusive is a good option when traveling with children as food and drinks are available all day. With all hotels, you may also choose the type of accommodation package that best suits your needs. All hotels come with a swimming pool regardless of how many stars they have, and some are located right on the beach. If you visit Barbados between November and April, you will find the evenings have a cool breeze, and air conditioning would be too cold. During this time you will see it is the most popular time of year to visit the Caribbean, as the days enjoy blue skies and warm sunshine, with refreshingly cool evenings. If you visit Barbados between May and October you will find the days very hot, with scattered showers as this is the rainy season, and there isn’t the cool breeze of an evening, so air conditioning in your room will make sleeping more comfortable. If relaxation and pampering are your goals on this holiday, then you will be spoilt for choice when deciding on your hotel. The majority of hotels have a gym within the complex and provide fitness instructors for personal training and aqua classes. You will also find that some offer spa facilities, which include his and her facial treatments, full body massage, body wraps, sunburn wraps, manicures, and pedicures. When it comes to massage, you may prefer this in the privacy of your room or enjoy the experience of a lifetime as you listen to the gentle lapping of the waves for a beach-side massage. You will also find that some hotels have on-site hair salons, which provide makeup services; ideal if you are planning on a tropical wedding. Check out our accommodation listings for a choice of Barbados hotels that suit all budgets and requirements.